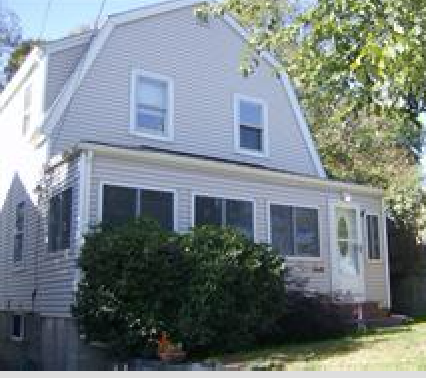 SOLD - 325 Southern Artery, Quincy, MA - Quincy Real Estate, South Shore Real Estate, SALES & LEASING! Move right into this mint condition, vinyl sided gambrel colonial with an open floor plan which features newer windows, newer roof, enclosed 3 season front porch. French doors off living room and dining room lead to Trex deck with awning. Entire house is freshly painted with gleaming hardwood floors, and much more! Kitchen features granite counters tops, bow window, half bath, Second floor has two good size bedrooms ,one smaller bedroom.Upstairs bathroom has separate shower stall as well as bathtub with Jacuzzi. Basement is partially finished with a woodburning stove, newer central AC unit and newer gas furnace as well as a walkout door with cat or small dog opening that leads to enclosed fenced in pen. Plenty off street parking in extra long driveway. Fenced in back yard Close to Quincy Train , Quincy High, YMCA, new jog/walk track.